MARSHALL, Mo., Aug. 3, 2011 (SEND2PRESS NEWSWIRE) — The Missouri Alliance for the Development of Entrepreneurship announced today that seven regional winners will be moving forward as finalists in the 2011 MADE In Missouri State Entrepreneurship Competition, an event that will highlight new and aspiring businesses through a competitive and educational business development process. The Competition provides new and potential business owners in Missouri an opportunity to put their business ideas up against others throughout the state and grow their ventures. The competition is designed to support Missouri communities and its residents by cultivating reliable businesses, creating jobs, and stimulating the state’s economic future. Participants started by answering a questionnaire about their business ideas, and were provided with tips and suggestions on how to make their businesses better in the first round. Finalists will present their finished business plans, products, and services at the Missouri State Fair on August 18, 2011 in Sedalia, Missouri. Mini-grants will be awarded as startup/operating capital to winners at the State Fair. The free event is held in the Lowell Mohler Assembly Hall with the show case open all day and the awards ceremony at 2:30 p.m. Everyone is invited to come meet the new entrepreneurs and learn about their businesses. Finalists in the 2011 MADE in Missouri State Entrepreneurship Competition are Azure Consulting and Advocacy (Cheryl Tietjens) from Brookfield; Bulldog Express (Rhiannon Finley and others) from Leeton; Cowgirl Angelic Accessories (Courtney Brown and Kami Nelson) from Chillicothe; Lifesong for Growth & Wellness (Richard Lillard, Psy.D. ; Jill Lillard, MA, LPC; and Deborah Middleton, LCSW, ACSW) from Jefferson City; Nanner Designs (Kate Tary) from High Ridge; Sketch You as a Fantasy Character (Brent Woodside) from Sedalia and Spot Light Stars (Brandon Banks) from Troy. The Missouri Alliance for the Development of Entrepreneurship (MADE) is a project facilitated by Missouri Valley Community Action Agency of Marshall, Missouri, a not-for-profit organization located in Marshall, MO. This project/program is funded in whole/or part with federal Community Services Block Grant (CSBG) funds received from the U.S. Department of Health and Human Services (HHS) provided by the Missouri Department of Social Services, Family Support Division. The funds received from the Family Support Division are all federally funded. Missouri Valley Community Action Agency, 1415 S. Odell, Marshall, MO 65340; Phone: 660-886-7476. 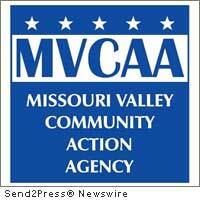 Original Keywords: MVCAA, Missouri Valley Community Action Agency of Marshall, Missouri, Missouri Alliance for the Development of Entrepreneurship, Missouri State Fair, nonprofit Missouri Alliance for the Development of Entrepreneurship Marshall Missouri MARSHALL, Mo. REFERENCES: Business News, MVCAA, Missouri Valley Community Action Agency of Marshall, Missouri, Missouri Alliance for the Development of Entrepreneurship, Missouri State Fair, nonprofit Missouri Alliance for the Development of Entrepreneurship Marshall Missouri MARSHALL, Mo.